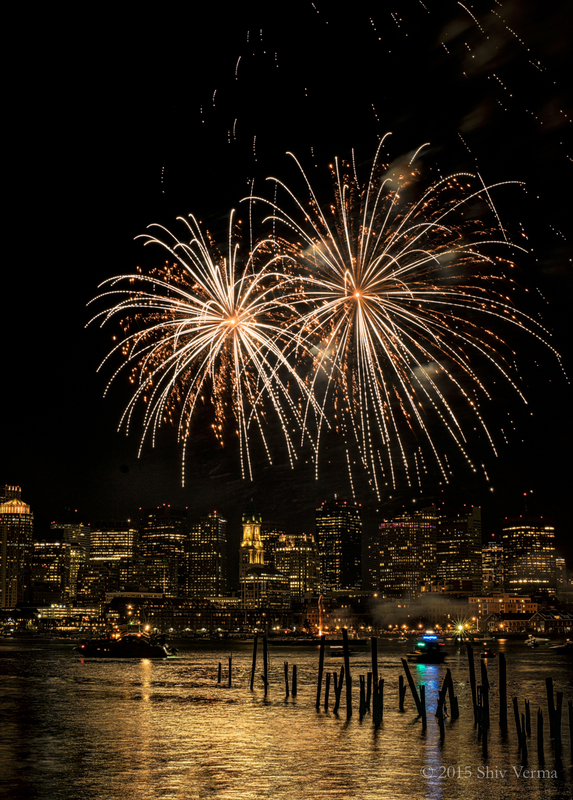 To make great images of fireworks a little planning and preparation will go a long way. You will need a camera that is capable of “bulb” modes or where you can keep the shutter open for unto 30 seconds. It is preferable to have the capability to manually control the time your shutter needs to remain open. A good tripod, a remote wired or wireless shutter release, a wide angle lens and a flashlight. A single light burst from fireworks can range between 5 and 15 seconds. So at a minimum you should consider a 5 to 15 second exposure. If you plan on capturing multiple bursts then you will need the shutter to remain open much longer – more than a minute in cases. You will get best results with the focus set to manual and set at infinity. Make sure you do not accidentally rotate the housing ring of your lens. To prevent this you can use gaffers tape to hold the focusing ring in place. Do this before you focus to infinity and then switch the lens to manual focus. Use apertures in the f8 to f16 range where your ISO is set at 100 – it is best to experiment a bit with ISO bracketing. Note: fast lenses are not important. 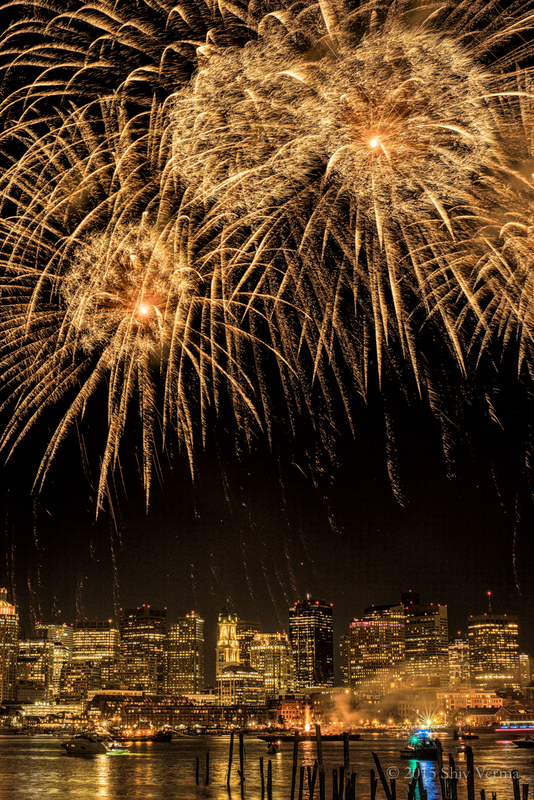 Get to your location early so you can establish your tripod with an unobstructed view of the fireworks. Establish your location keeping the wind direction in mind. You want to shoot up wind (the wind coming from your back towards the fireworks display). Smoke between you and the fireworks will spoil the effort. Consider the foreground and background – you want to capture not just the fireworks but elements that will add interest to your captures. Make sure your camera is level for either orientation. Use a bubble level if your camera and LCD does not display the artificial horizon. If possible, speak to the people setting up the fireworks to find out what the are planning, what directions they will be shooting the bursts and any other pertinent information. This will help you set up appropriately. If you want to capture multiple bursts on a single frame keep the shutter open but use a black card to cover the lens between bursts. This will to prevent ambient light from entering the lens between bursts. (I have glued a piece of black velvet on a small rectangular piece of foam core that I use to cover my lens).